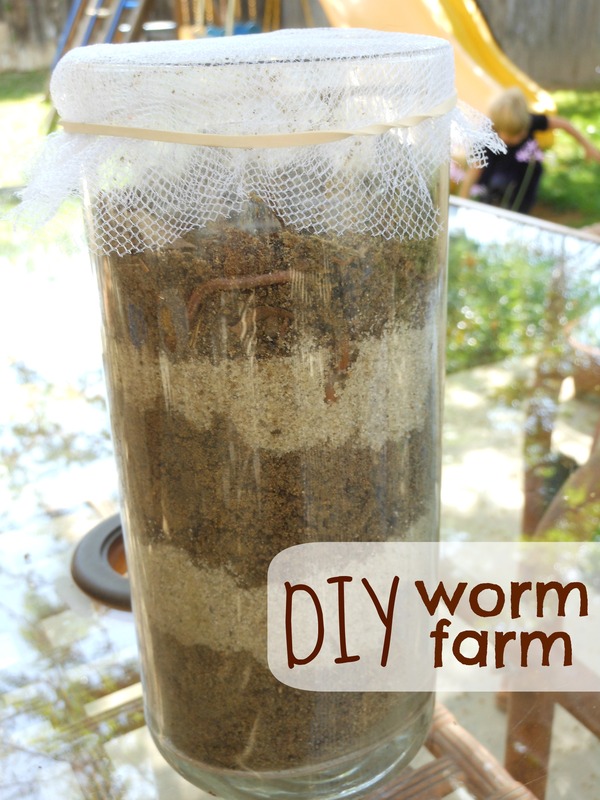 I started seeing worm farms all over Pinterest a few months ago and knew we would be making one. This past weekend was so beautiful we spent all day outside. 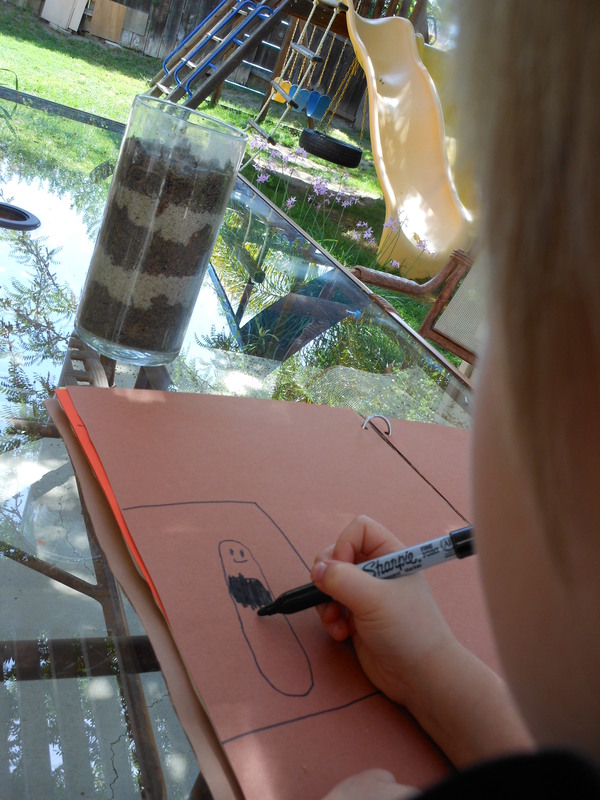 We were also reading worm books in the shade… it was the perfect time to make my worm farm dreams come true. 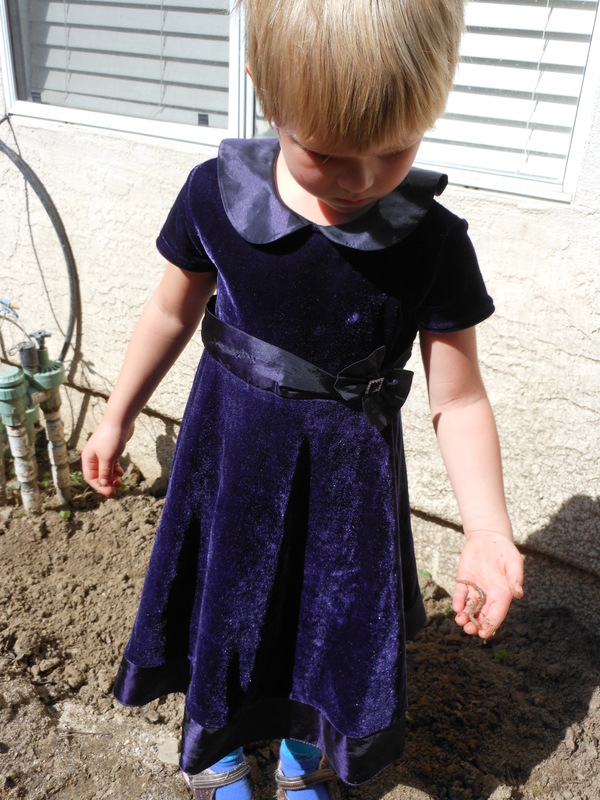 Before you start searching for worms it is best to put on the fanciest dress you own. I mean the worms like good taste too! 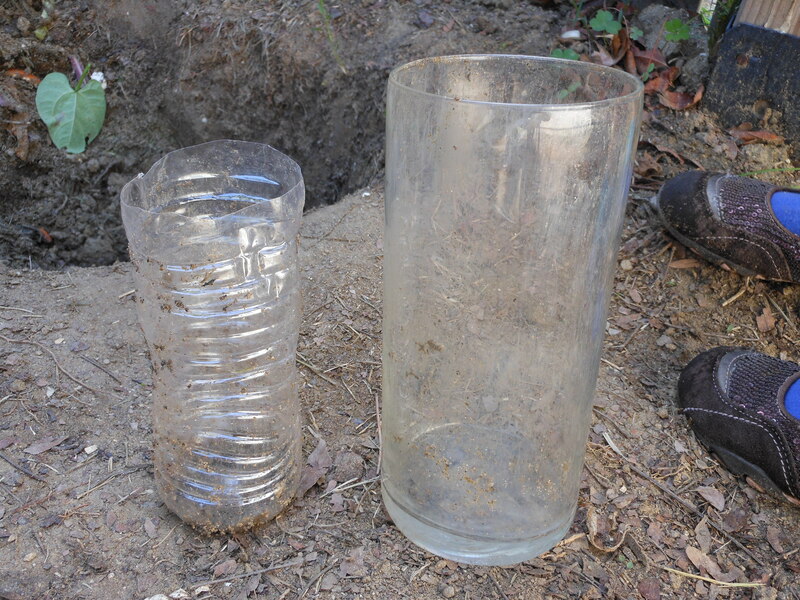 We layered sand and dirt between the water bottle and the vase. Little M noticed a pattern. NICE! Once the worm farm was ready it was time to add the worms. The worms went in right on top of the dirt. 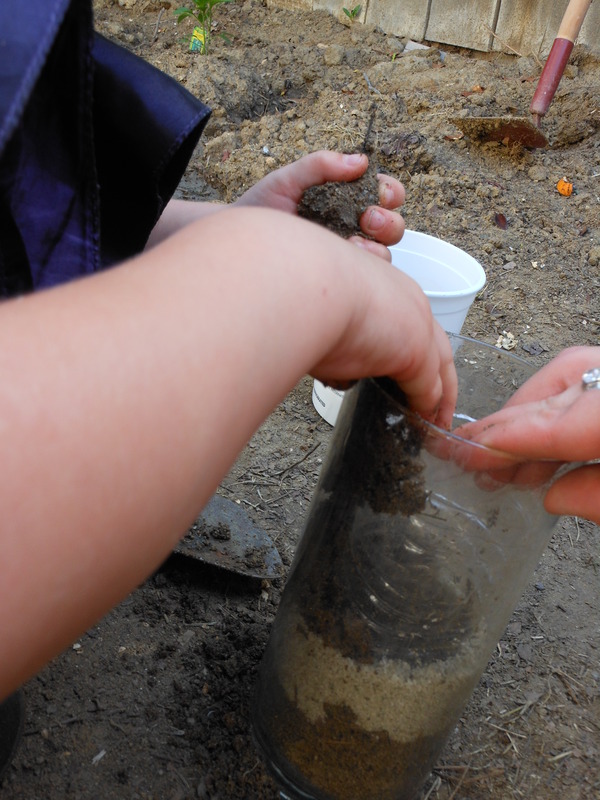 We choose to add 4 worms, they wiggled themselves right into the dirt. I used the netting from an old tutu that was trash bound (see it pays to hold on to “trash”) and a rubber band to make a top for our worm farm. I doubt the worms will try to escape, but just in case. Our nature journal was the perfect place to record the beginning process. We’ll be coming back to record data as we observe it. What fun! 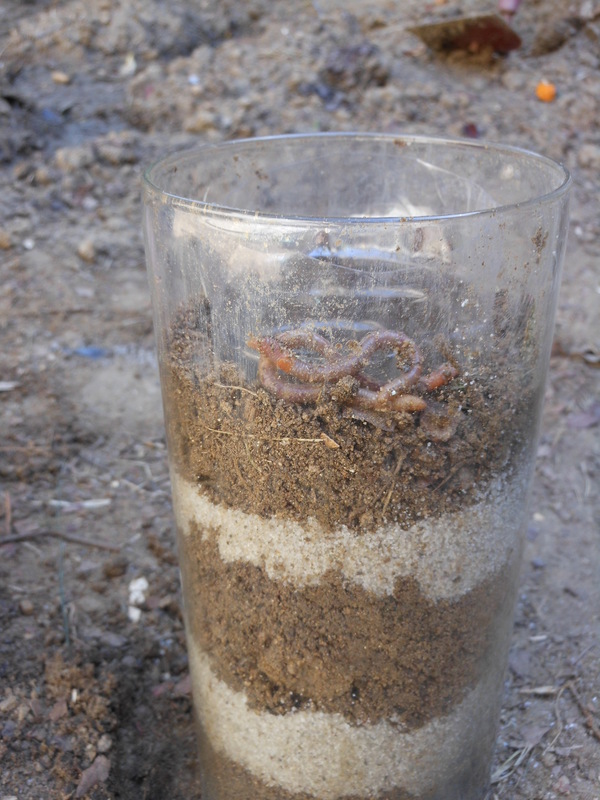 Of course worms are used to darkness and will work a lot faster if they feel safe. 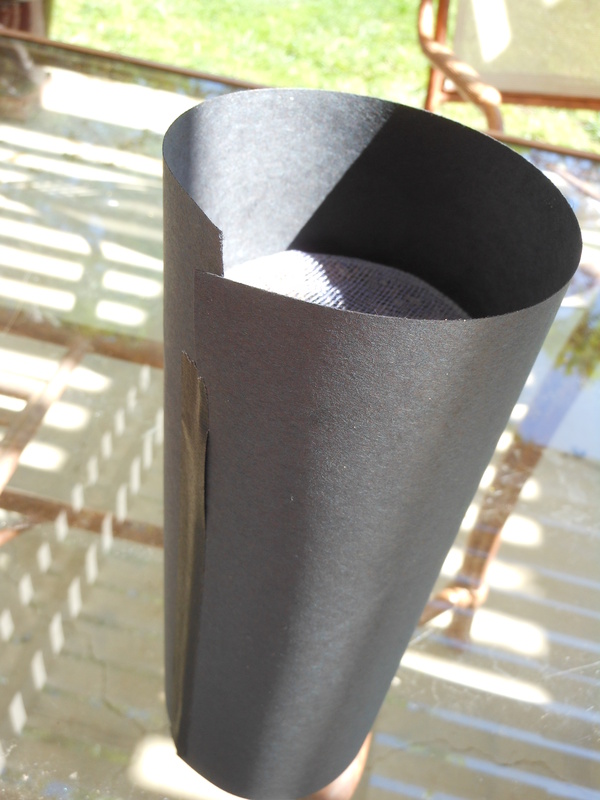 We covered the glass container with a piece of black construction paper. I made sure it was loose enough to slide right off when we want to view our little worm friends. Looks great! Looking at Little M’s face wondering what’s she thinking? I’m pinning this on my “worm” board. Thanks for sharing! LOVE IT! My girls LOVE LOVE LOVE worms (and are prone to dig for them in their fanciest dresses as well). Just wondering, did you feed them your table scraps? How long did you keep em? Sarah, The dirt we used is from our compost area so it is already full of table scraps. We have only had them for a couple of days. I think we’ll just wait another day or so. I would love to hear how it goes for you! Hmmm. I have some finished compost and some really not finished. I may but a little food on top to see what happens. We are soo doing this….maybe as soon as the sun comes up 🙂 I need to find a jar for the outer part. I have a clear 2-litre, but it’s pretty full….debating dumping it into a pitcher so we can do this project 🙂 Thanks for the idea! Thanks for the great tips! I love “moisten some newspaper” for adding moisture. We used compost dirt so it’s full of yummy scraps. 🙂 I’m going to move your comment up into the post… is that okay? We don’t want anyone starving those poor little worms on accident! 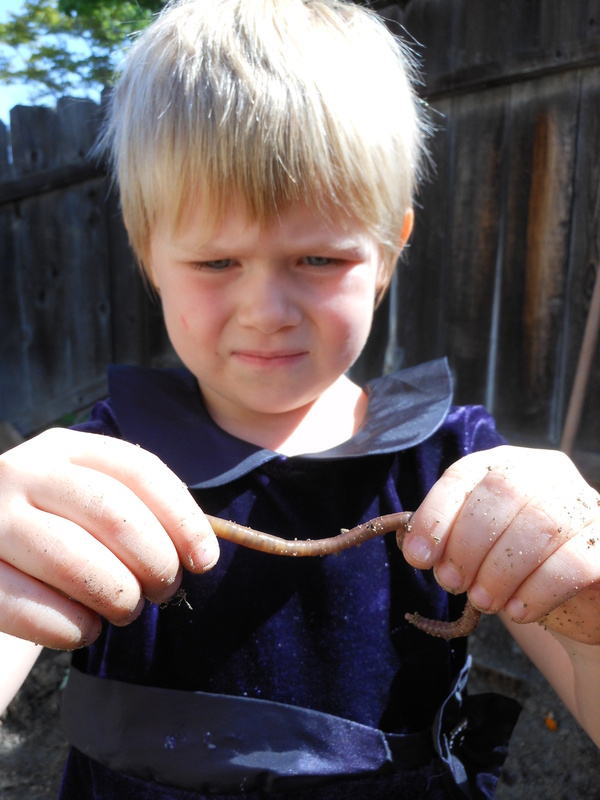 Only few kids would want to hold worms and she is definitely brave enough to play with them.. I can’t wait for the result! My boys love digging in the dirt! 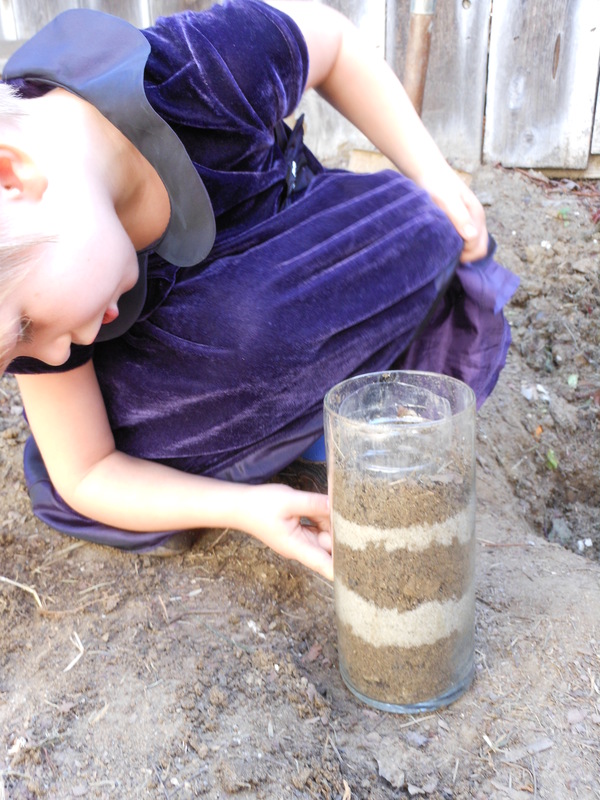 We’ve done backyard science experiments all summer and this one is on our list for next week. I pinned your post for my own reference and linked to you on our blog. 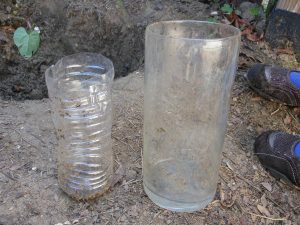 Thanks for the comments too – we will catch and release our worms I think.